One-stop resource for personal budgeting and saving money. TADAccounting provides complete accounting services and outsourced bookkeeping and controller services to small and medium-sized businesses. Offers a financial tool for simpler budgeting. 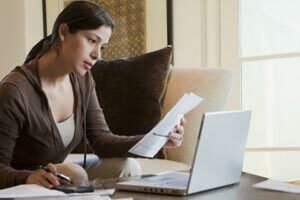 Information, advice, tips and resources on budgeting. UK Online Finance Directory Seek.uk.com offering mortgages,loans, Insurance,travel Insurance, Credit Cards, Life & Pension, Investments, Finance Advice and Business Services. Offers a free Excel budget template and advice on personal budgeting and saving money. Offers financial planning resources for mothers. Offers tips on spending less and saving more by getting family finances and budgets in line. Offers advice on managing a household budget and other personal finances. Provides articles on money management and budgeting information.